If you have an iOS or Android device, you can also share your screen while on-the-go using our mobile apps. Sharing is quick and easy: all you need to do is tap a button to start sharing your screen or camera in seconds. Your viewers can see your screen or camera from any device with a browser (including PCs, tablets, and smartphones) without having to install any software. All they need to do is click on a link that you give them. When sharing your screen, you will be able to navigate to any webpage or web-accessible document using the built-in browser. If you are on an iPhone 6S or later and iOS version 11 or later, you will also be able to switch to your other apps to share them as well. Sharing your app requires an initial setup. Please see instructions for enabling sharing of your apps on iPhone. You can invite people to view your screen share by tapping the Invite Viewers link. You will be shown the various options for sharing the viewer URL, including via email, text message, and social media. 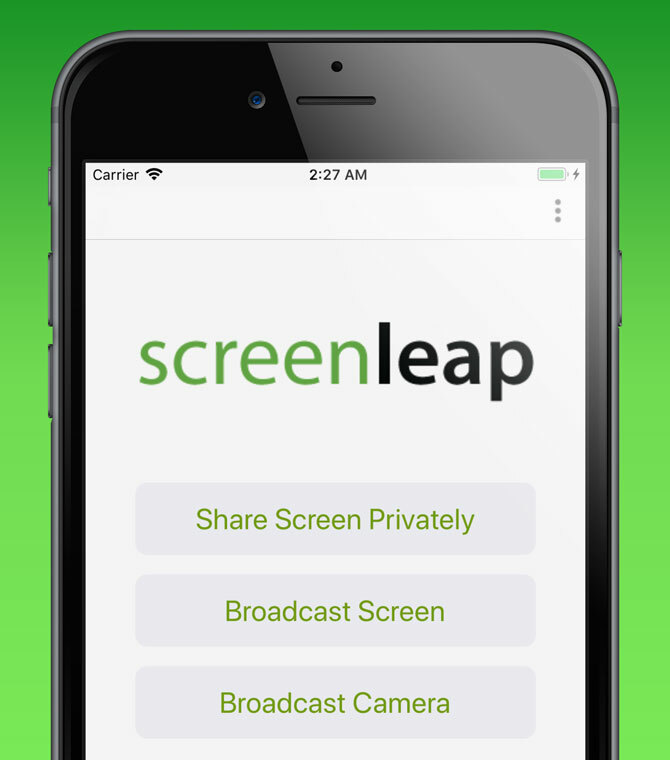 Once you are done sharing, return to the Screenleap app to end your screen share. When sharing your screen, you will be able to switch to any of your other apps to share them. You can invite people to view your screen share by tapping the Invite Viewers link. You will be shown the various options for sharing the viewer URL, including via email, text message, and social media. 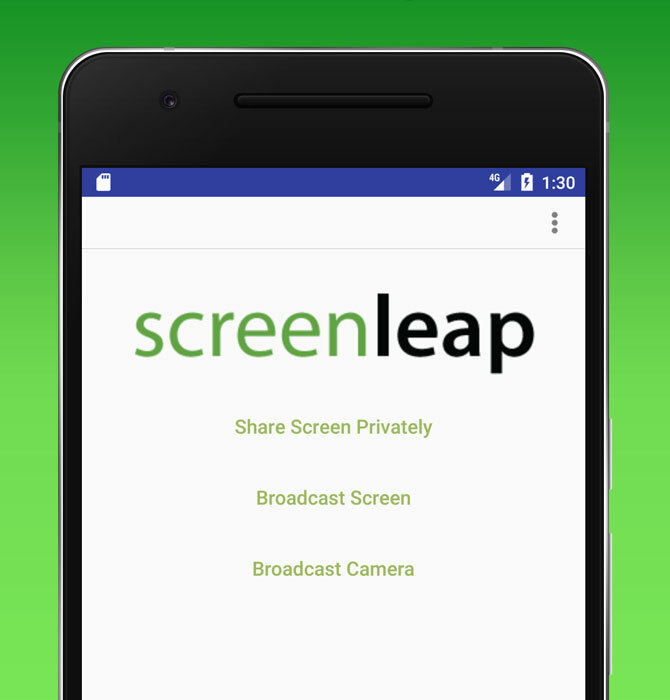 Once you are done sharing, return to the Screenleap app to end your screen share. You can configure your screen share from the Settings of both of the mobile apps. Disable sharing when not using Wi-Fi - You can disable sharing when you are not on a Wi-Fi connection to ensure that you don't accidentally use up data from your cellular plan. Share screen in high-DPI mode - In high-DPI mode, the screen will be shared at twice the resolution, which will allow your viewers to see your app more clearly. The trade-off when using high-DPI mode is that the frame rate will be lower and the lag time longer. Record video of shares - Toggle whether you want your screen shares to be recorded. Recording of screen shares is available on the Premium and Max Plans.